We’ve also been able to tie Mo Salah and Roberto Firmino down to new contracts, with the likelihood being that we’ll do the same thing with Sadio Mané before too long. I’m only going to look at those players for this part of the piece, given that I’ll concentrate on the possible Outs shortly. The question is, how does that stack up? I was never someone who jumped on the Emre Can bandwagon, believing that he could be excellent when he was in full flow against the big teams but feeling that he limited us in the manner that some people accuse Jordan Henderson of doing against the weaker teams. I’m disappointed that we weren’t able to get any money for him but I don’t think his departure is a significant loss to us this season. He’s certainly the only name on that list that is even worth mentioning, though, so I’m not going to bother talking about the others. In terms of the Ins, I’m delighted with our summer business. 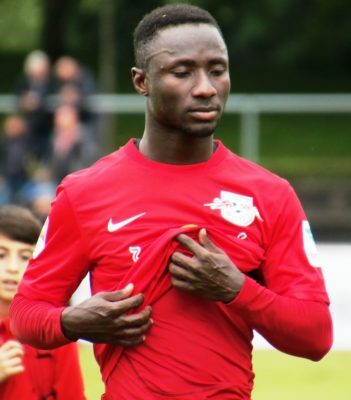 Yes, Naby Keita was a deal that we struck last year but he’s still playing for the club this time around, so I think it’s ok to talk about him. I’m mildly concerned by the glowing terms in which some people speak of him, given that he’s yet to play a competitive game for us and there’s no guarantee that he’ll adjust easily to life in England. Yet at the same time there’s no question that he’s a player who is full of ability and who offers us an option in the middle of the park that we haven’t had since Steven Gerrard’s box-to-box days. That opposition supporters seem to think of him as a Kante-type player is even better, meaning that they’ll be surprised as anything when he hits full flow. 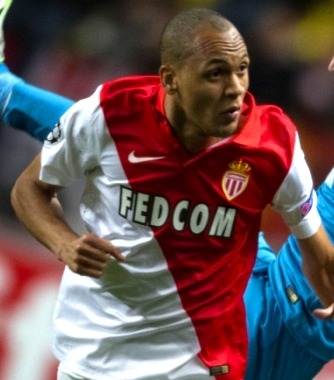 Fabinho isn’t someone I know an awful lot about and it’s interesting that the manager keeps talking about him needing time to adapt to life in the Premier League. Personally I’ve always been a big fan of Jordan Henderson and what he offers us from the defensive midfield role, believing that it’s a very, very difficult role to fill in a Jürgen Klopp team. So far in pre-season the presence of Fabinho at the back seems to have given the rest of the midfield licence to roam forward, as we’ve seen from Gini Wijnaldum, so I’m hoping we get to see a bit more of the 2013-2014 Henderson in this campaign. In reality I think the two players are likely to rotate depending on fitness and the opposition, but it’s great to have options. 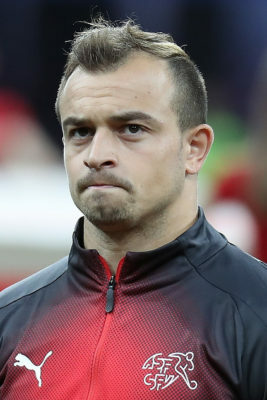 When we signed Xherdan Shaqiri and plenty of the fanbase was a bit underwhelmed, I made the point that most people thought we were only signing Mo Salah as a backup for Sadio Mané and look how that turned out. Jürgen Klopp and his staff will have had an idea of the sort of performance that they’d be able to get out of Shaqiri and they will have had far more faith in the signing than most of us. As it happens, I think we’ve all been impressed by what we’ve seen from him in pre-season. Personally I’m of the opinion that it’s the perfect storm. Perhaps when he went to Bayern Munich and Inter Milan he was a little immature and didn’t reach his full potential. Now he’s a little older, a tad wiser and more capable of hitting his stride when he’s needed. I’m excited by what he’s going to bring to the team. 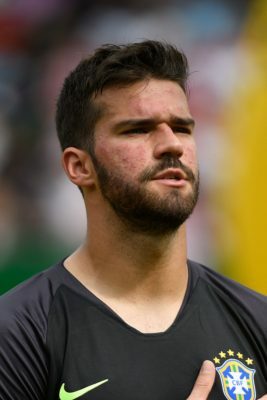 Last but not least comes Alisson Becker. 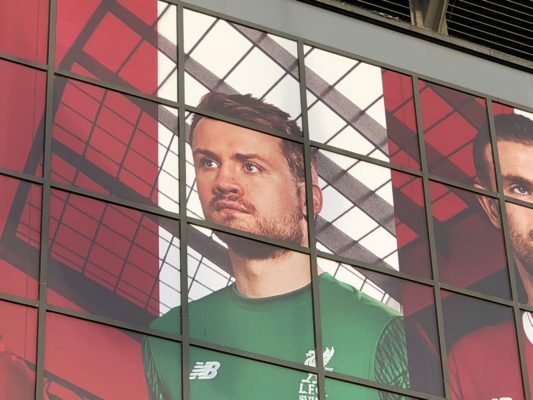 Since the tail-end of the good Pepe Reina’s time at the club, just before the unfit and slow the react one arrived, only to be replaced by the ‘excellent shot-stopper’ who can’t stop shots, we’ve been in desperate need of a genuinely top-class goalkeeper. I’m yet to be convinced that that’s what the Brazilian is, but those in the know say he’s going to transform our team from the back. It’s an exciting signing that will add to the January arrival of Virgil van Dijk in shoring up our defence as much as possible. It will also end all of the debate over whether we should play the rubbish goalkeeper or the not quite so rubbish goalkeeper who still isn’t very good. This is the position that we’ve most needed to strengthen and, whatever happens this season, he should be between the sticks for a good few years to come. The final thing to mention in terms of Liverpool’s summer is the promotion of certain youngsters who have genuinely impressed during pre-season, to the point that some people are actively looking at them as possible squad players in the coming months. 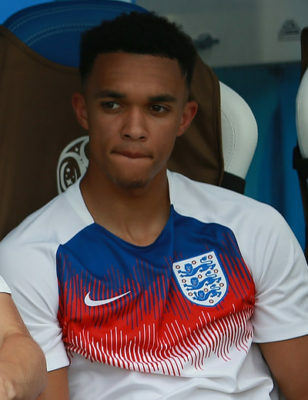 We already know about the supreme talent of Trent Alexander-Arnold, though I imagine even most of us are surprised about just how much he’s come on the last few months. He’s now been joined by Curtis Jones, who looks as though he will offer a genuine option across the middle of the park, and Nat Phillips. It is perhaps that latter name that offers the most hope in terms of being able to give the manager options should some of our current centre-backs get ill or injured, as they’re wont to do. Yes, Torino in a friendly isn’t Manchester United in the league, but the twenty-one-year-old has impressed and deserves his chance to shine. Given that a path is already being sought out for Rhian Bewster to follow, it’s entirely fair to say that the future looks very bright for Liverpool at this stage. We’re blessed that, unlike with some of our rivals, we’ve got a manager who wants to nurture youth players. The payoff for that, however, is that transfer windows won’t always be full of signings. There aren’t going to be any Ins. We’d all like that not to be true and personally I think that the manager is making a mistake in not bringing in a more reliable centre-back to partner Virgil van Dijk at the back, certainly in terms of fitness, but there we are. As a result, here are the possible outgoings, bearing in mind that they can still depart to Europe until the 31st of August. The deadline for #LFC to ship out the likes of Mignolet, Origi and Markovic to overseas clubs isn’t until August 31. So if they aren’t sold today, that doesn’t mean they won’t be in the very near future. Personally I really like Danny Ings. I think he’s an industrious player who knows how to put the ball into the back of the net. The words coming out from Jürgen Klopp about ideally wanting to keep him around the place suggest that he feels the same way. He’s clearly not on the same level as Roberto Firmino, but there’s something about his work-rate that means I always thought he’d be the ideal backup to the Brazilian. He knows how to close people down, how to keep running until he can’t run any more and what he needs to do to be a part of a team managed by the German. I know I’m in a minority in that view point but I’ve been the only one thinking something in the past and I will be again in the future. Whatever happened to Danny Ings, £24 million player? It looked for a time as though he might be able to tie up a move to Newcastle or Crystal Palace, only for said moves to fall apart. There are still question marks over whether or not clubs from abroad might want him, but if we’re honest he seems far more like a British player than a continental one. You can hardly see the likes of Atletico Madrid or AC Milan lining up with him for their big matches, after all. He’s a player that deserves a move, needing regular game time in order to help him recover from his massive injuries. He’s not going to get that at Anfield, instead likely to be limited to cup matches and occasional substitute appearances. A shame, but we’ll see what the next couple of hours bring, given a late move for his signature from Southampton. It’s not just the European market that remains open until the thirty-first of August, with Football League clubs able to agree loan deals with Premier League teams up until the end of the month too. Ings might still depart on such a loan deal, even if stepping down a division isn’t really what he deserves. 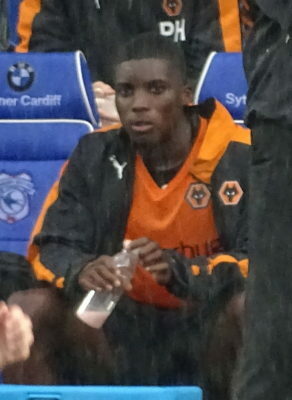 Another player who might find himself on the way out for some experience is Sheyi Ojo, with the youngster being fought over by five different Championship clubs including Aston Villa. It’s believed that they wanted him on a permanent move but wouldn’t reach Liverpool’s £12 million valuation, meaning that they’ll have to take him temporarily if it all. When it comes to Ojo’s ability, I’ve long thought that the youngster has bags full of talent, but he doesn’t seem to have developed as much over the past few years as most of us thought he would. There’s probably a real extent to which that’s about a lack of game-time, with the twenty-one-year-old needing to play regularly in order to truly develop. I’m therefore not convinced that a loan move to a club that’s hoping to challenge for a promotion to the Premier League is the worst thing that can happen to him and he might yet be able to revive his Liverpool career, should he perform exceptionally and come on leaps and bounds. In reality, however, he’s more likely to remain in the lower reaches of the leagues and never quite fulfil his promise. As much as there are vast swathes of the Liverpool fanbase who think that Loris Karius is the most terrible person in the world and deserves everything that he’s been subjected to in the wake of the Champions League final, I’m still of the opinion that he’s a better option as our number two than Simon Mignolet. I have long stated that I don’t dislike the Belgian, I just think that he’s a bang average goalkeeper who doesn’t deserve the reputation that he has of being a ‘good shot-stopper’, given that he regularly concedes the first shot on target and doesn’t actually make all that many saves. He’s also just as prone to chucking in a howler as Karius, with the only difference being the stage on which he’s done it. Whilst plenty will disagree, even after his Champions League debacle I still think that Karius has a higher ceiling than Mignolet. There’s also an argument that his style of play suits the team more than the Belgian’s, with the high line that he likes to employ more akin to what Alisson is going to be doing than Mignolet’s rigid refusal to move off his line. As much as I fear that he’s going to outlast us all and will still be a Liverpool player when the earth is a nuclear wasteland, there have been links to Napoli for the thirty-year-old that can still come off before the month ends. It’s the right time for everyone for him to find a new club and, in my eyes, the sooner the better. You’d be silly to give this window anything less than 4/5, given the manner in which we’ve strengthened key areas and not lost any of our better players. Yes, for my money an additional defender and an attacking player would have sealed the deal but this has been an excellent summer that might well lead to our first piece of silverware for years. It’s an exciting time to be a Red.